New US Tariffs Against Chinese Goods May Affect Titanium Dioxide Trade | Merchant Research & Consulting, Ltd. The recent introduction of a new 10% duty on many Chinese goods worth $200bn, including titanium ores and concentrates, as well as pigments and preparations based on titanium dioxide, may impact global trade with titanium dioxide. It could also affect further expansion plans of different companies. The adopted list of Chinese goods on which the duty is imposed has been just published at the website of the Office of the U.S. Trade Representative. The initial and final versions of this list with respect to titanium dioxide show no difference, unlike some other commodities, which were excluded from tariffication. It has been announced that 10% tariff may later grow to a rate of 25% as of 1 January 2019 in case the next round of China-US negotiations would be unsuccessful. In 2017, the export of Chinese titanium dioxide pigments to the US was worth a hefty sum of around 90 million US dollars. China and the USA are among the leaders of the global titanium dioxide market. Some experts indicate that with duly recognition of trade imbalances between the two countries, this trade war is the least wanted thing amid current stability on the titanium dioxide market. It is also an undesirable turn of events primarily for China. China has been undergoing a painful process of transformation of its multiple chemical production facilities with a purpose of making them more environmentally friendly. The process, which will likely to take many years, implies the closure of many inefficient and outdated chemical enterprises. 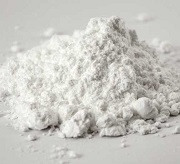 It is fully relevant to the Chinese titanium dioxide production, which is based mainly around sulphate technology, known for large amounts of waste materials, expensive pollution controls, and other disadvantages, as compared to the new chloride method. While the trade war could be used by the Chinese government as an excuse for further closures of old chemical facilities and recent economic slowdown, the trade barriers and the US threat to cut off the country from critical technologies could be extremely detrimental for the Chinese chemical sector and the whole economy of this country. More information on the titanium dioxide market can be found in the insightful research study “Titanium Dioxide: 2018 World Market Outlook and Forecast up to 2027”.